This one I'm not sure I can have because it's in such short supply. It's by graphic designer Dave Coppenhall who designed Wire's Send sleeve, he's a wholly amateur musicologist. I have a tape that Dave made of ethnic music which he gave to me and about 20 or 30 other people in '82 - Brian Eno has one. It has the most minute handwriting on it, probably 50 tracks, all his research, his buying of records. It's one of the most valuable things that anyone has ever given me. All these other things are very westernised, really. This collection that Dave made is just extraordinary, it blows your brains out every time. 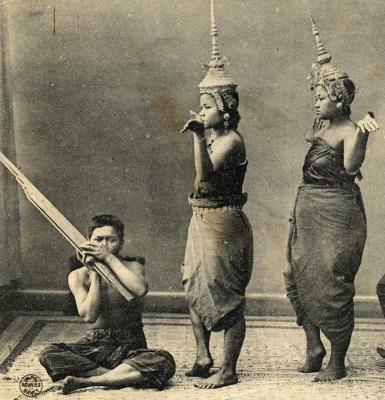 Mouth organ music for the dead from Madagascar - yes please! Pygmy greetings, music which was functional. [gestures at list] This is all music that has been commodified.